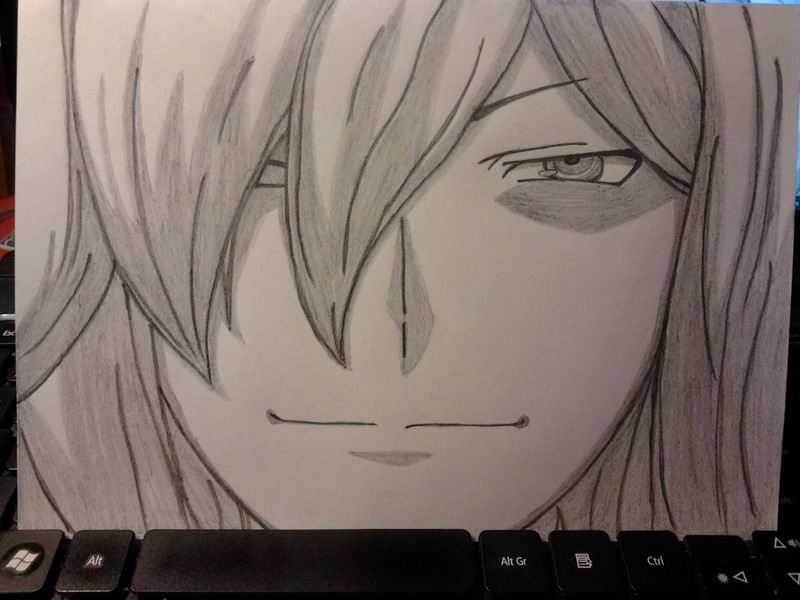 Ever since I watched Ep 8 of Devil Survivor 2, I wanted a Houtsuin smug face to hang on my wall, so I drew his face. 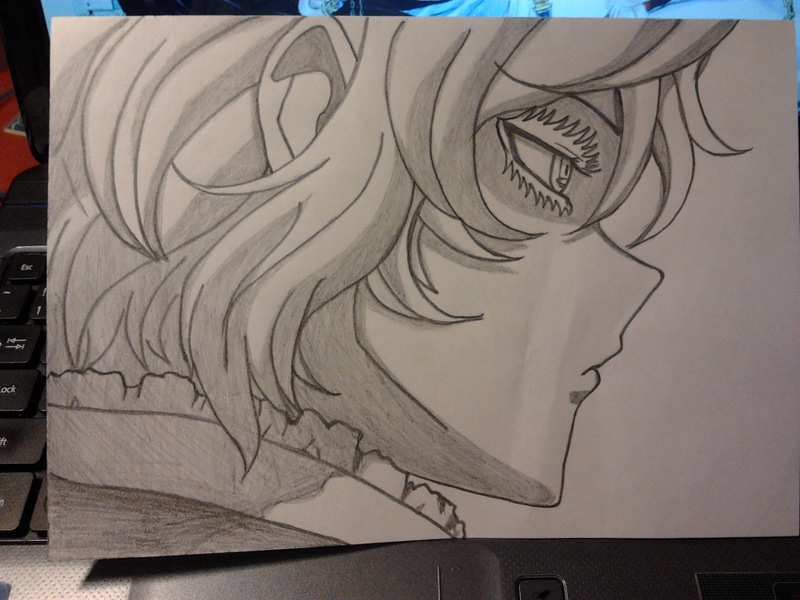 I also double-sided my Houtsuin drawing with Alcor. Let's just say the story escalated reeeaallly quickly in ep 8. Like A LOT happened. \no-spoilers, but there were quite a bit of foreshadowing, so I've placed my bet on what the ending will be. I'm starting to get sad that there's only 5 episodes remaining.